Nursing homes across the country deliver compassionate, comprehensive treatment to millions of elderly citizens. With an ever-growing population of older people in the United States, the role of the nursing home or long-term care facility cannot be overstated. Unfortunately, dental hygiene, or to be more accurate the lack of adequate dental care in nursing homes is reaching epidemic proportions. Nursing home insurance is one way that facilities can protect their employees, their assets, and their patients. Adding dental health services is not only a valid risk management step, but it is also critical for the health and welfare of patients. Nursing homes have a duty to provide adequate care to their residents, and facilities across the country are scrambling to integrate dental care in treatment plans. The typical resident of a nursing home facility often needs assistance with daily tasks, such as dressing, bathing, and eating. Taking care of one’s teeth and gums is another area where caregiver assistance may be needed. Unfortunately, many long-term care facility residents may not have access to professional dental services, and may not even get the assistance they need from caregivers. Nursing staff may or may not have the training necessary to properly assist with brushing and care of dental prostheses like dentures. 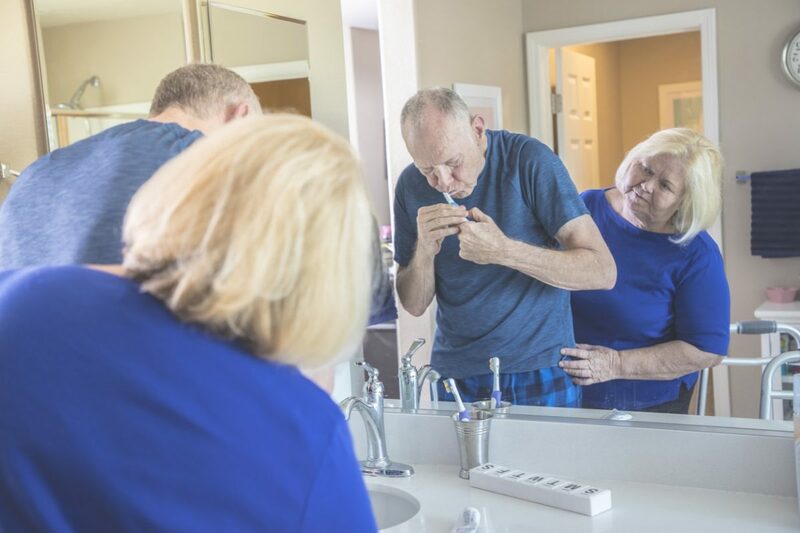 Complicating the picture is the fact that for many senior residents of nursing homes, side effects of certain prescribed medications may result in poor oral health. Oral health is the key to overall health; tooth decay and gum disease can lead to dangerous or even fatal health complications such as heart disease, pneumonia, and strokes. In America’s long-term care facilities, there is an epidemic of poor oral health; in one study, about 30 percent of all residents were diagnosed with untreated tooth decay. Another study conducted in the state of New York found that only about 16 percent of all residents received oral health care of any type. Educating caregivers and nursing facility staff is the first step toward reducing poor oral health in these facilities. Caregivers do not often have the diagnostic training necessary to identify potential problems, such as broken or decayed teeth. Nursing facilities across the country are implementing dental health training, and may include dental hygienists and dentists as part of the care team to facilitate improved oral health care. These dental professionals can provide training to other staff members, and may be responsible for delivering the dental care that nursing home residents need. Nursing homes often have comprehensive nursing home insurance to protect the facility, its staff, and its patients against a wide range of risks. This specialized form of insurance is only part of the risk management puzzle, however, and it is imperative that facilities nationwide adopt oral healthcare screening and service delivery to reduce health complications of an elderly and at-risk population. ← Are Your Nursing Home Clients “Winterized” Against the Polar Vortex?